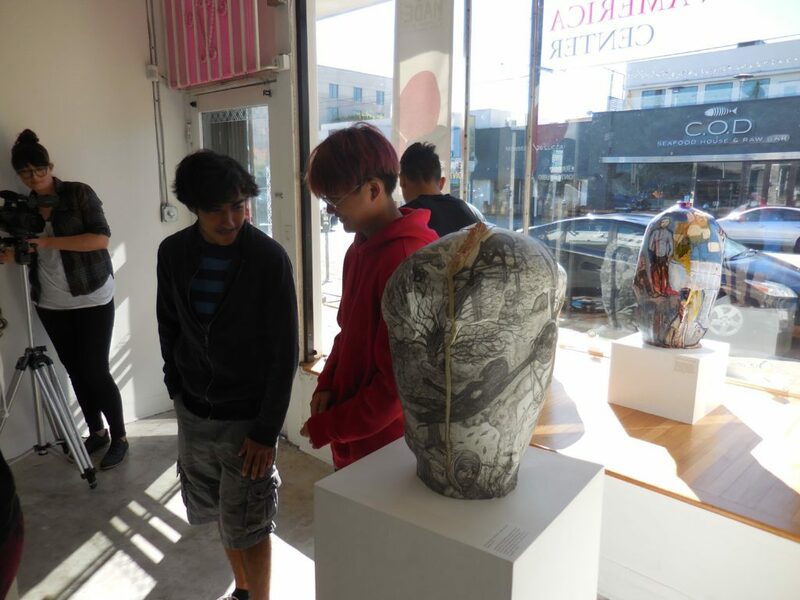 Gerardo Monterrubio’s Mano-Made exhibit is so dramatically and vividly executed with all of its graphic imagery and dense content that most of the passerbys on the street feel the need to stop by our front window in order to view his ceramic vessels. 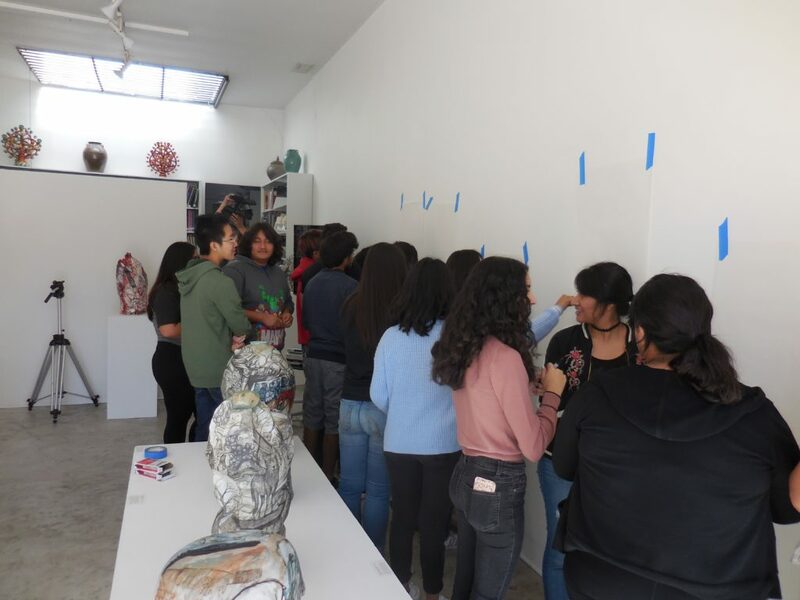 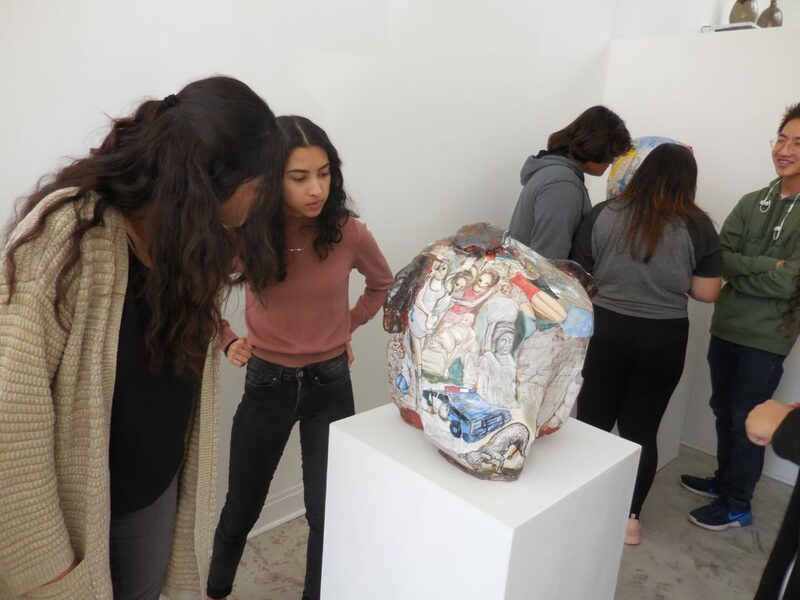 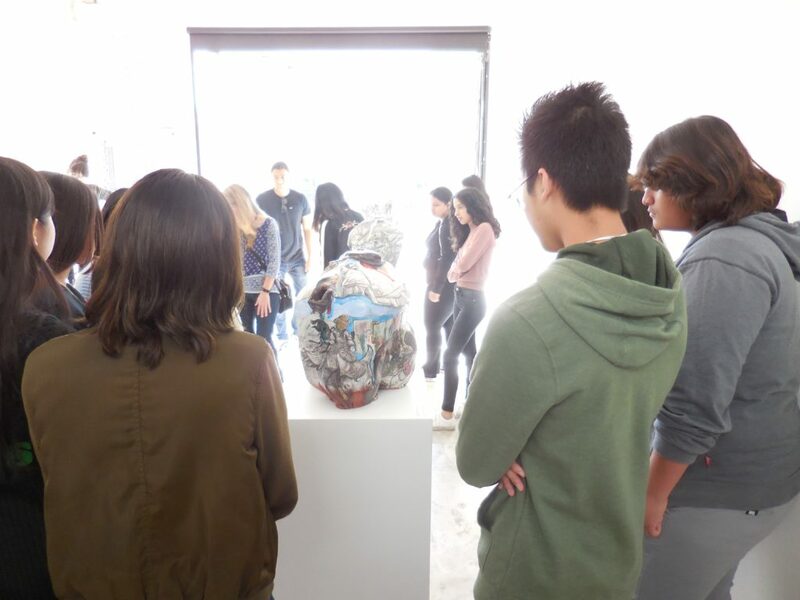 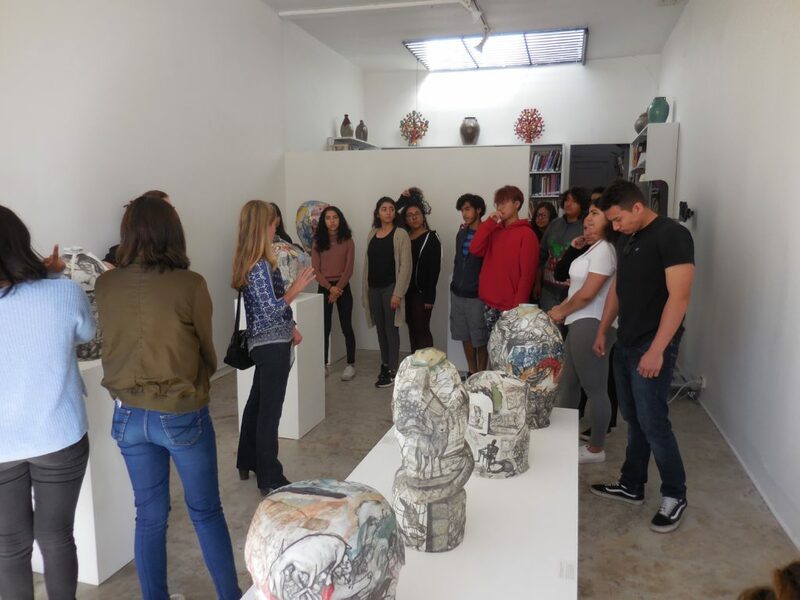 Fairfax High School Magnet Coordinator Kelly Cohen and 3-D Art Teacher Amy Dean selected high school seniors for a special visit to meet the artist at the Center. 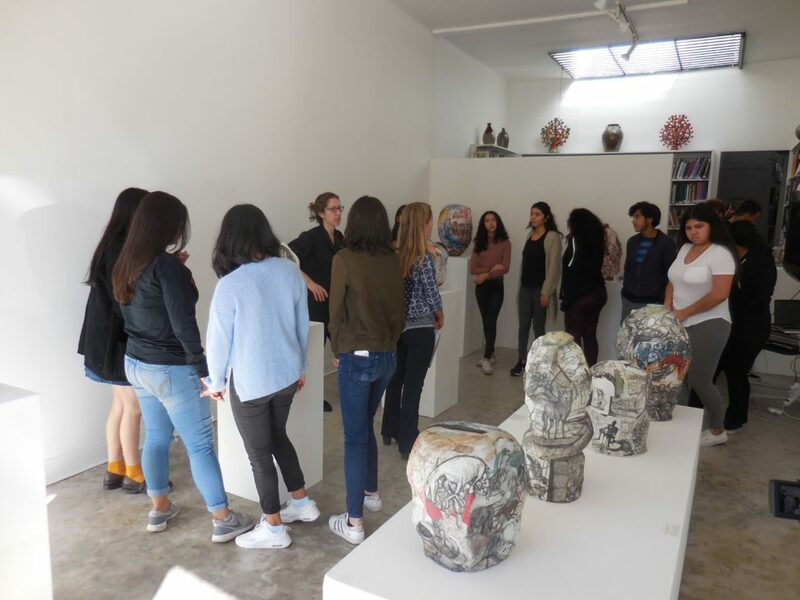 Today was their field trip, where they were able to view these wonderful amorphous porcelain and terracotta forms. 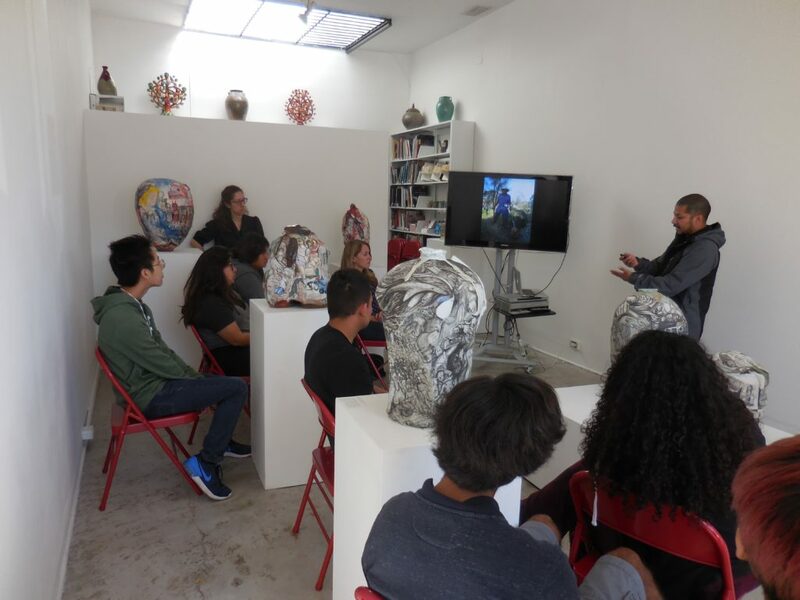 The best part was that the students were also able to meet with Gerardo himself. 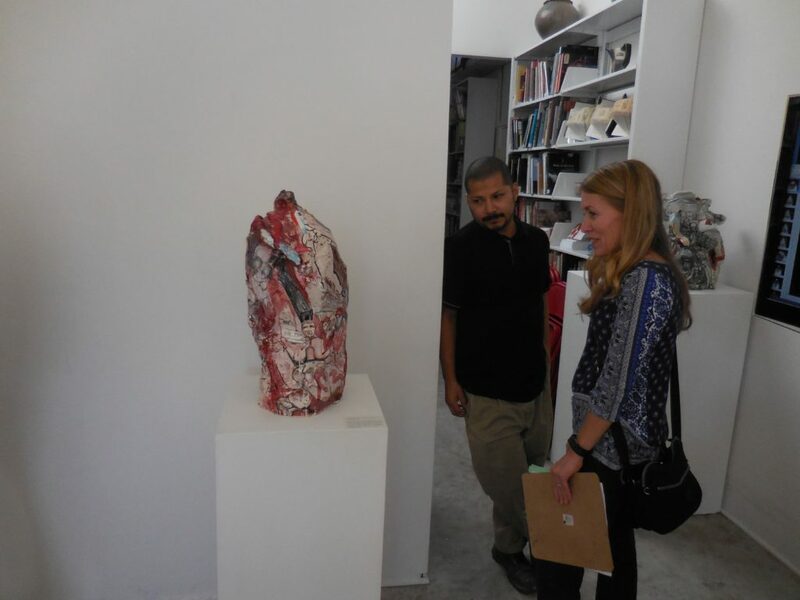 To say the least, they were impressed by his work and his background as an artist. 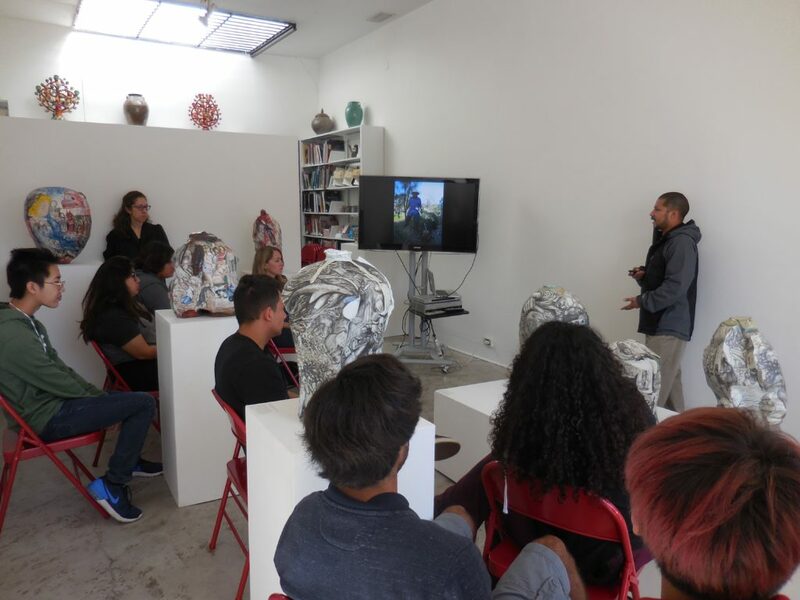 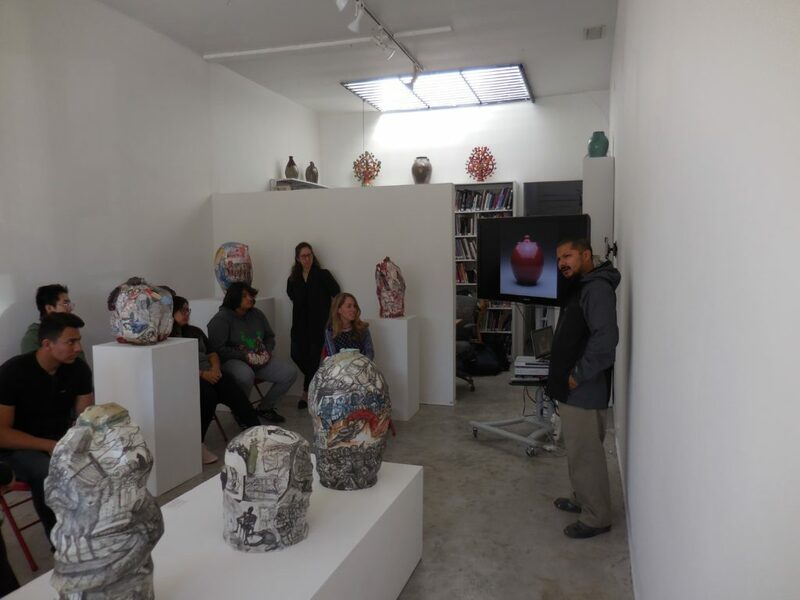 As Gerardo presented himself, part of his history, and his work, students began asking questions immediately and demonstrated how engaged they were in his stories and experiences as a child and adolescent growing up in East Los Angeles. 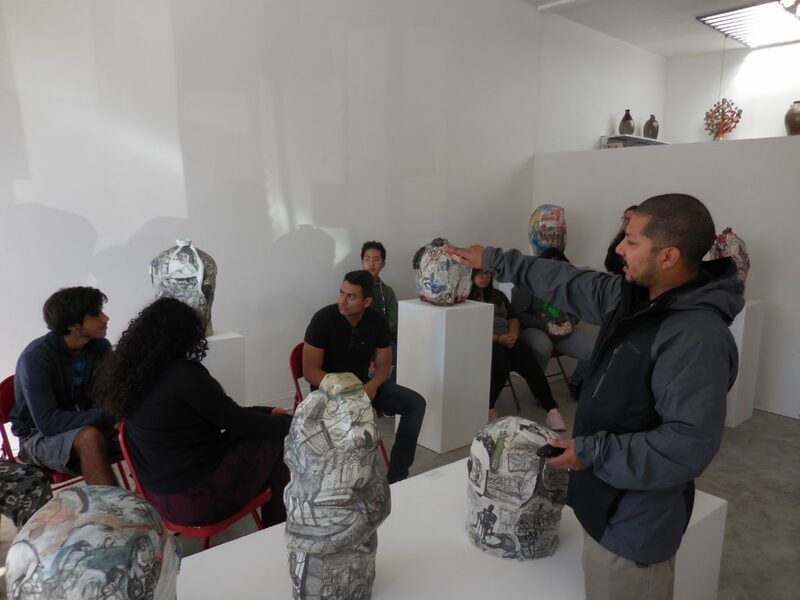 One student recognized the title of one of Gerardo’s work, “Serrano Street.” As Gerardo further explained the location as a certain intersection, the student responded “I live there, at that corner.” Gerardo smiled and explained how that was the hood he grew up in and how much it has changed since the early 90s. 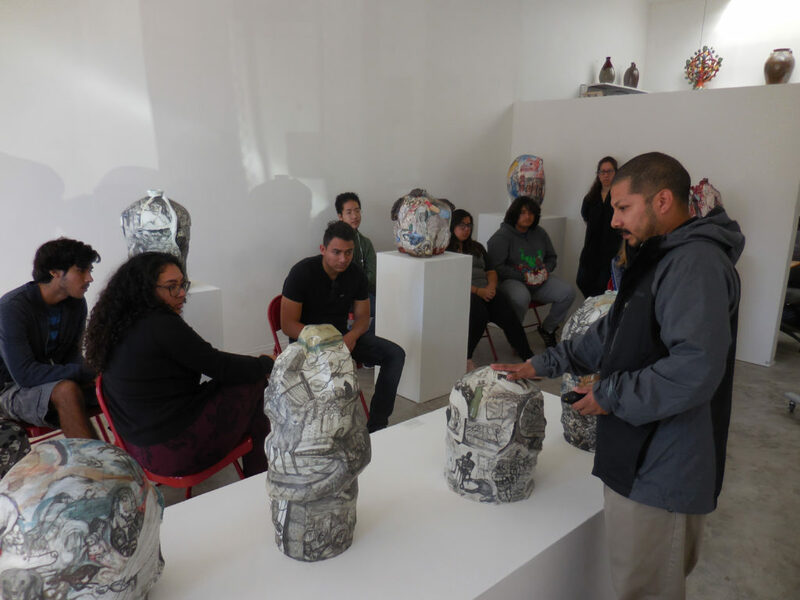 Several other students recognized the ties to Mexican folklore, and how the title of one of his works (Puño de Tierra) belongs to a Spanish song by Mexican musician Ramon Ayala. 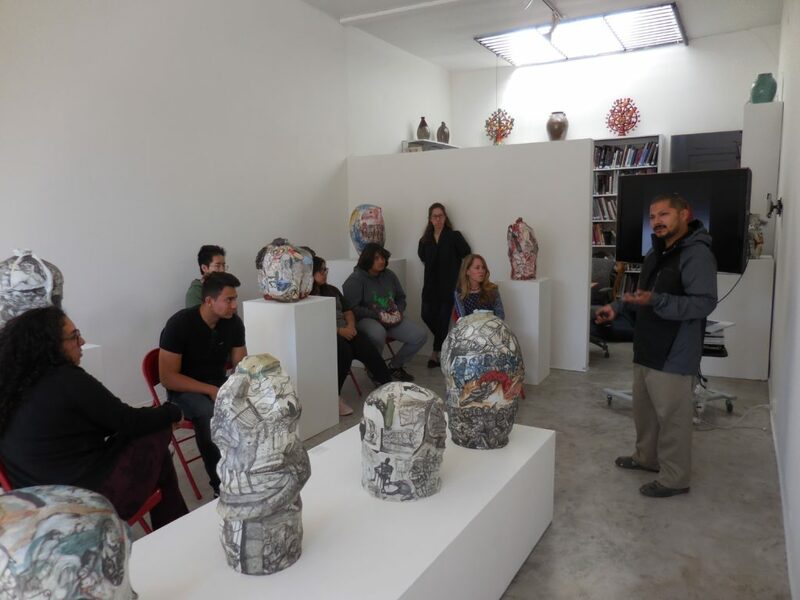 The students were very comfortable with the scope of the work, the subject matter and the artist. 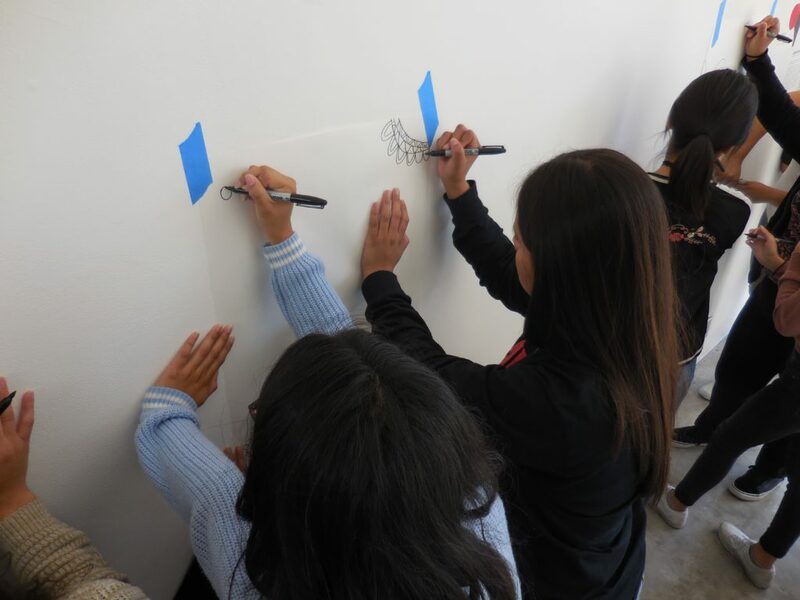 At the end, we split the students into 5 groups of 4 for a quick 5 minute drawing exercise. 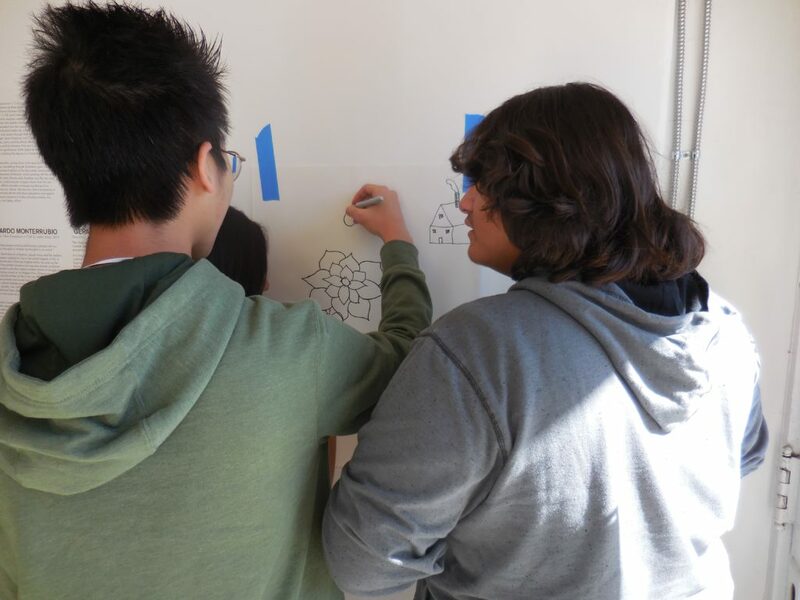 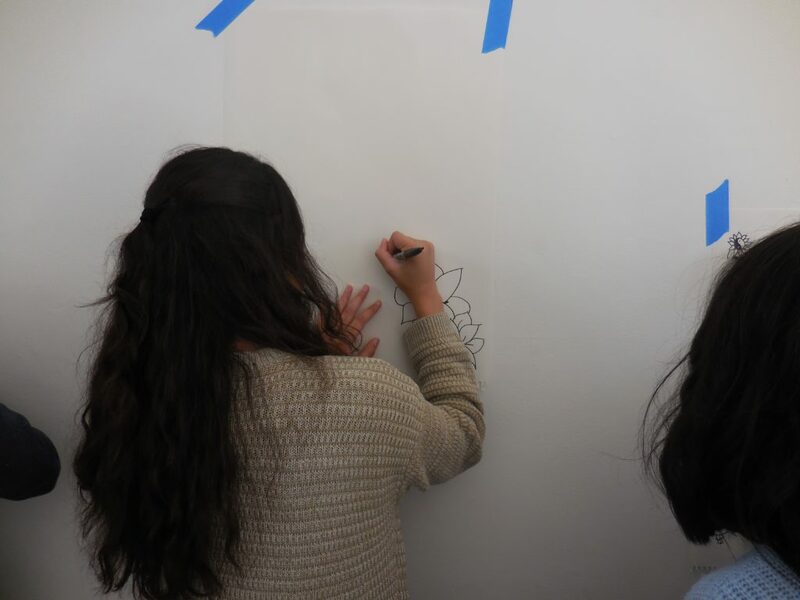 All students in the group drew on one large sheet of paper in order to demonstrate their illustration abilities. 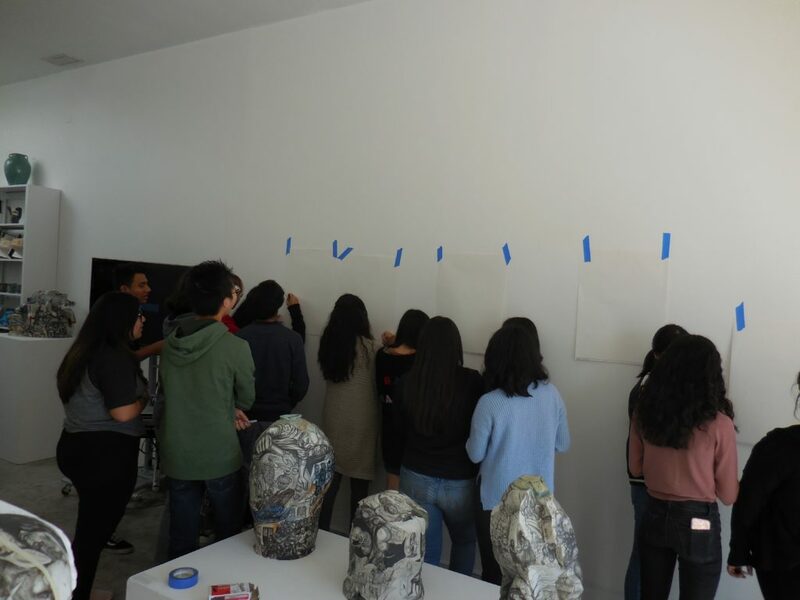 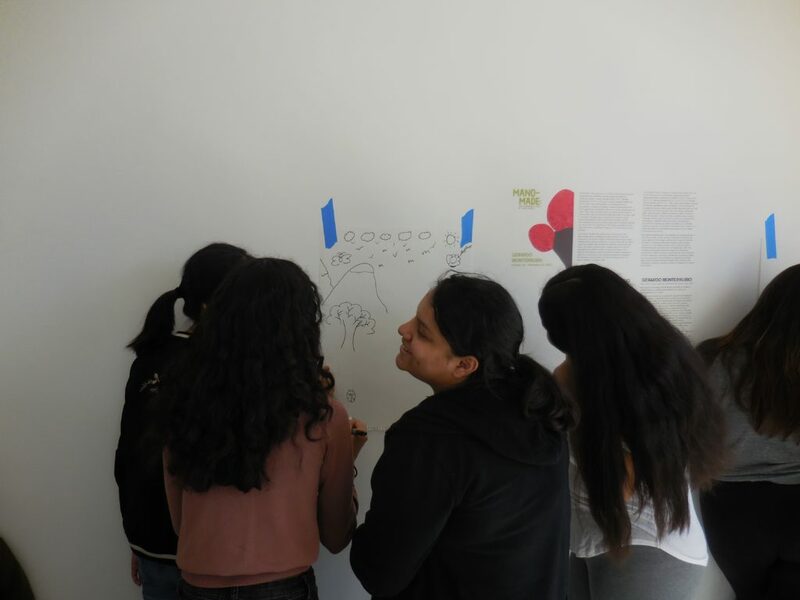 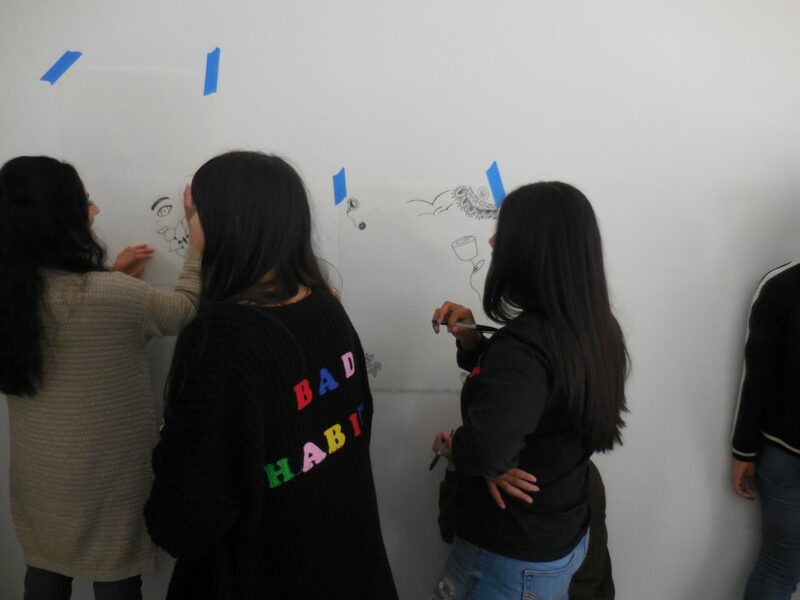 The purpose of the exercise was to have them all draw on the sheet at the same time in order to invade each other’s space and create an overall mural-like drawing inspired by themes in Gerardo Monterrubio’s work. 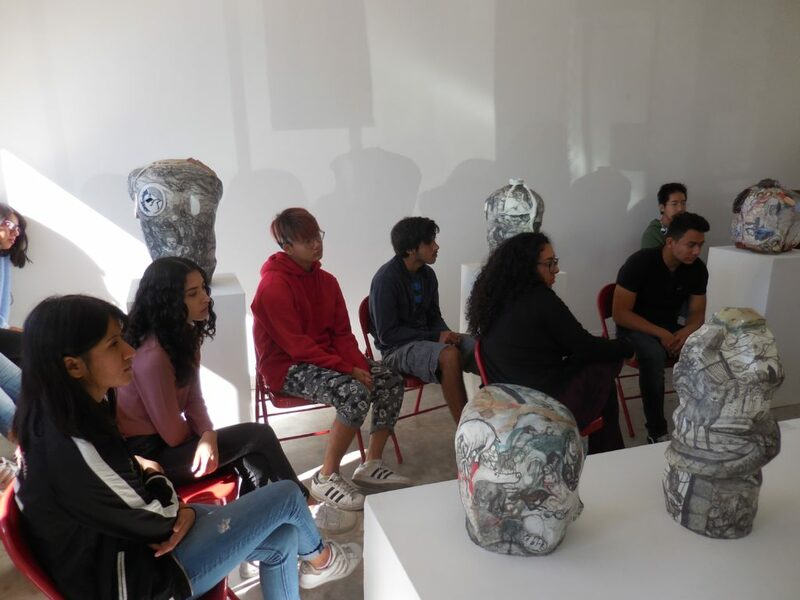 The students were very entertained with the activity and gave their thanks to our staff and Gerardo for what they deemed a wonderful visit.